* Based on feedback from forum members, I recommend that everyone should check their harness for rubbing regardless of build date. Some members with early build dates report already having the flex loom installed while some with later build dates report they don't have it- I'm not sure where Ford came up with those dates listed in the TSB. If your wiring harness looks like the first picture below and only has friction tape, I recommend installing the plastic split loom. This is the simplest TSB to perform if you catch it in time but can be a nightmare if you let it go. The ordeal that another forum member recently went through prompted me to remind everyone to look after this immediately. 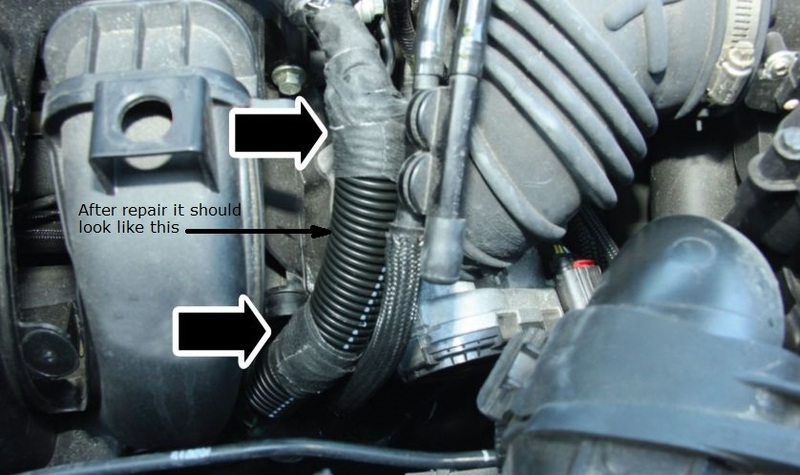 The problem occurs when the wiring harness rubs against the intake manifold and cuts into the wiring causing a short. If your wiring harness is still in good condition, you can perform this TSB yourself in less than 5 minutes. The TSB says to use an inspection mirror but I just felt behind the harness with my fingers to see if the factory friction tape on the wiring harness had been abraded. 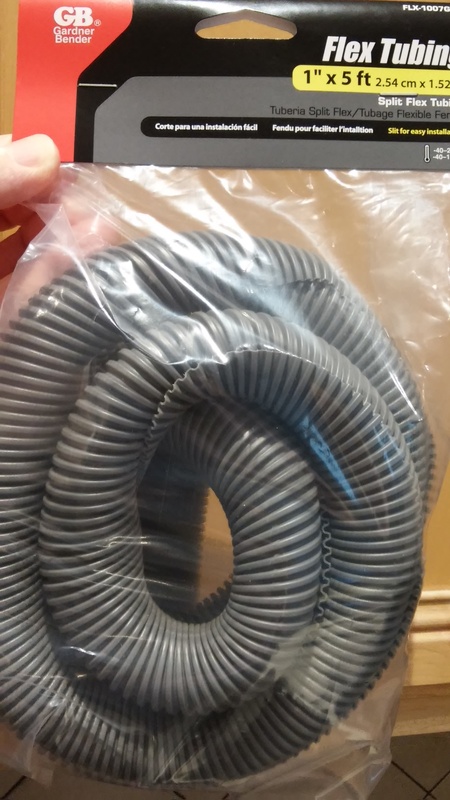 If not, pick up some 7/8" plastic split wire loom cover at the auto store (3/4" or 1" will work if you can't find 7/8") Cut a 6" piece of the flex tubing and slip it over the wiring harness as shown in the photo and secure it with electrical tape. You're done! I can no longer edit the original post but just so everybody knows, TSB 14-0215 has been superseded by 15-0036. SilverPony2001, Niner, aaronmach1 and 9 others like this. Last edited by wavsine; 01-18-2016 at 10:32 AM. Mod should stick this thread at the top. ELCouz and AlbertoSan like this. I checked mine yesterday. The harness is so tight I could barely even get my finger behind it. It didn't feel worn through at all, but it did feel a little crimped back there. Arco-Zakus and wavsine like this. Thank you for posting this up. I hadn't read either of those threads but will get working on this ASAP! When I get mine back I am going to do just this. Thanks for the pictures, I was not 100% sure what to wrap it with. I would also agree with another poster about the harness being super tight. Just to avoid the hassle, I will be doing this ASAP. Thanks for posting this! After giving Ford THREE YEARS to get all the early bugs worked out before I bought a Mk3, mine was built just 7 days too early to get the fix at the factory. Sheeesh. 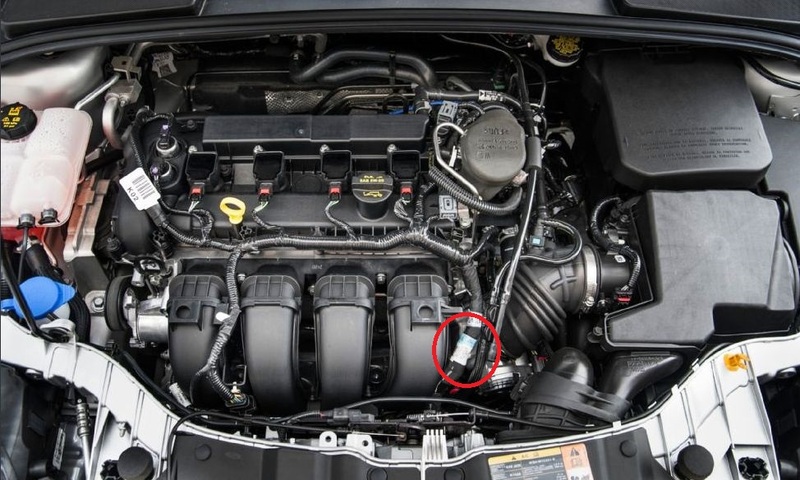 Still, not as bad as some of the problems I've had with the (few) other cars I've bought new over the years -- probably thanks to you for posting this info earlier, allowing me to catch it before it got damaged by normal engine vibration. I checked mine soon after you started your other thread about this and was amazed. What's hard to see in that photo is how sharp that protrusion (right above and to the right of the tip of the lower arrow) is that the harness is stretched over, and how tightly the harness is stretched. EVERYONE should check their own right away to see for themselves. How could anyone design, or even assemble, anything like that without shutting down the assembly line to get it fixed right away??? If they were to intentionally want to cut into that harness they could not have come up with a better design to accomplish it. I couldn't do the proper wire loom fix right away, but knew it would be dangerous to leave it as it was even for a short time, so I did a temporary fix until I could do it right. First, I tried to dull that sharp edge with a small file. Even with my skinny fingers and a teeny-tiny file it was hard to get into such a tight spot and to not damage the harness with the file. I also don't know whether that bump is solid or hollow, and how thick it is if it is hollow, so I didn't want to go too far. (Anyone know what that bump is for?) At least it turned it from a sharp knife edge to a dull one. I didn't trust that to avoid damage, so I looped a very long nylon cable tie around behind the harness, over the front of the first intake runner to its left (viewed from the front of the car), and behind the second one to create a small gap between the harness and the sharp edge. That will keep it from cutting into the back of the harness until I can get the loom installed. Anyone who does not feel confident enough in their repair skills to do the proper fix on their own should at least attempt getting a cable tie around it temporarily until they can get it to a dealer to be repaired. I tried to be careful to not put any more strain on the harness than necessary in hope of not causing other problems with it -- don't pull too hard. My concern over taking it to a dealer is the possibility of the repair being done by someone who is less cautious than I am, causing more problems than they fix. The other problem with this approach is that temporary solutions that work tend to become permanent. Still better than ignoring it, though. Forgot to mention earlier, a big thanks to PratoN for enlightening me about this TSB and Squad-G for his excellent collection of TSB PDFs. I initially stopped by my local Ford dealership to pick up a piece of 7/8" split loom. The largest size they had was 3/8" which shook my confidence in how they would even be able to perform this TSB. I found the cheapest place to buy it locally is Home Depot. $2.89 for a 5 foot piece of 1" split loom. If you want it done right, do it yourself. Cross fingers it'll be read enough to help a few. What if you 3/36,000 warranty is long past? The tsb actually lists two areas to check first IF certain symptoms are present. 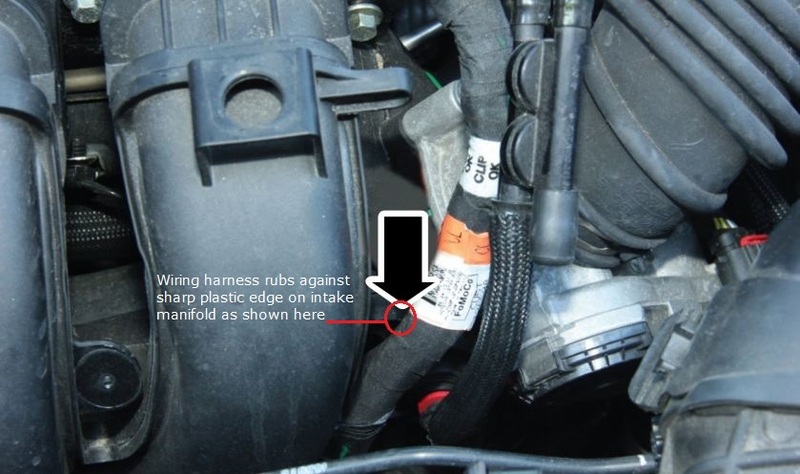 Both a wiring chafing possibility & the CKP (Crank position sensor) are on the list to check, with the wiring possibility first on the list (no point guessing at a CKP if a wiring issue is present). Many members would rather know about the possibility, and check it/do some preventative work, than wait until a problem may present itself. It may never be a problem on your car, but the check & installation of extra protection is cheap & easy to do. If it looks good, and isn't touching the possible sharp rub spot, it's up to you if you want to bother with the extra protection.